The $14.5 million Halifax-Northampton Regional Airport (IXA) opened May 1, 2009. This general aviation airport is just 5 minutes from Interstate 95 and is owned and operated by the Halifax-Northampton Regional Airport Authority. 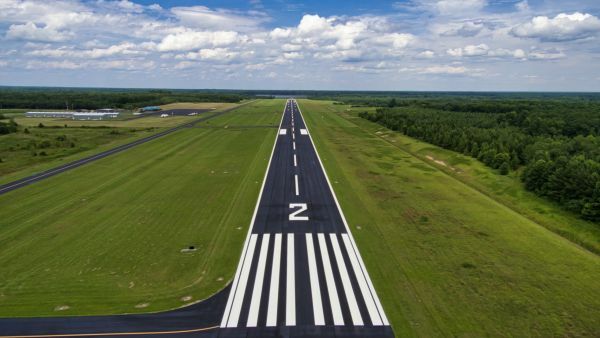 The new airport represents a unique regional partnership involving the counties of Halifax and Northampton and the City of Roanoke Rapids to promote growth and economic development opportunities for the area. 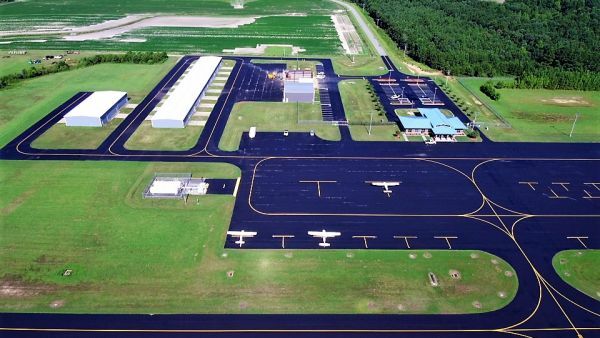 A 5,500' X 100' runway can accommodate private and corporate aircraft. Our modern terminal building has a spacious lobby and vending area, visitor information center, operations room, offices, conference room, pilot lounge, quiet room and other facilities. These facilities provide comfortable amenities found at many larger airports. Facilities are now available self-service 24 hours a day and offer Jet A and 100 LL fuels. There are 18 T-Hangars, all are currently leased. Construction of additional hangars will begin this summer. For additional information, contact us. An FAA-certified system provides minute-to-minute updates available to pilots by VHF radio at 119.975 radio. AWOS data is available to off-site users by calling (252) 583-3446. Installation will begin in the fall of this year. A 700-acre industrial park located adjacent to the airport provides an exceptional business location and amenities needed to ensure business success.